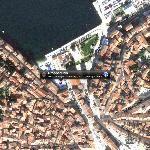 Small bar/restaurant or Konoba right next to Rovinj's fish market and fruit/vegetable market. It was quite excellent with very friendly service. 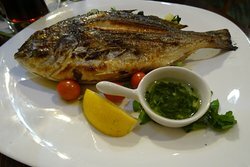 We enjoyed the wood grilled fish on both visits. 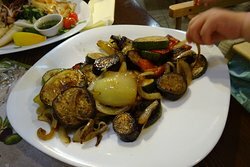 For our second dinner we added grilled veggies and a local grilled sausage, Cevapcici, both delicious. Prices are very reasonable and the service is excellent. After dinner drinks were a fun surprise. The fish was fresh and service was good. Wine was good too. 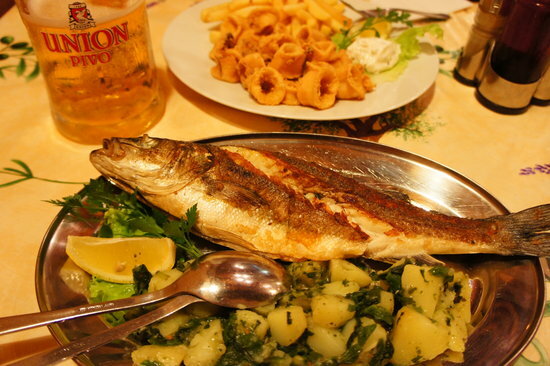 We had grilled sardines and grilled calamari. It's a real charcoal grill. Good stuff. There are two entrances one at the market one in the lane around the corner. Sardines and chard with pancakes for dessert. Great service and fine local food. We highly reccomend. 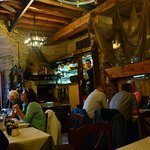 The food and staff where the best I had cevapi with fries. Family friendly! 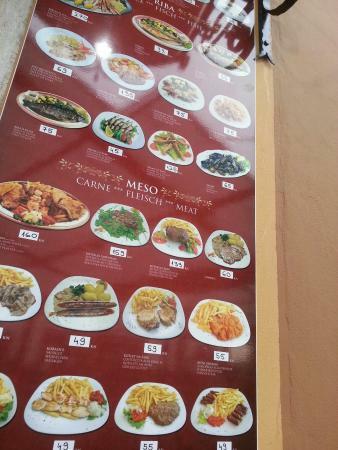 The owner helped us choose what to eat because everything looks so delicious!! Crowded with Locals, always a good sign. 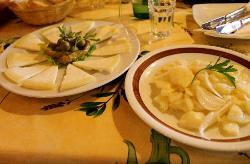 We had our 'last supper' here before leaving Rovinj and it was a very good choice. 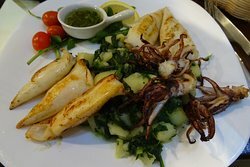 Superb grilled sea bass and delicious wine, very prompt and efficient service. Recommended. 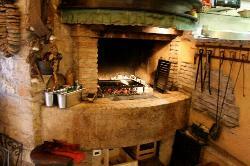 Wonderful food cooked in traditional BBQ oven. Good quality wine. 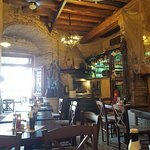 We had 2 visit to this restaurant during our stay in Rovinj and both times throughly enjoy our meal staff were friendly and professional We recommend the Veiner Schnitzel very nice Hope to visit again sometime. 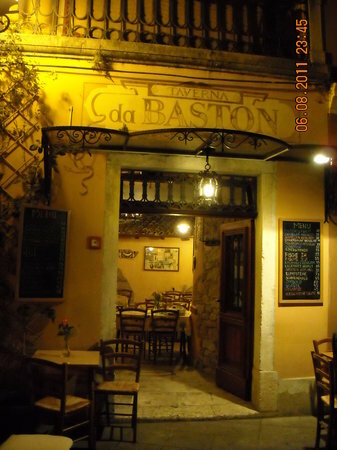 Get quick answers from Konoba 'Da Baston' staff and past visitors.